The obvious irony in considering the history of organised vegetarianism in this region is that there have always been millions of Buddhists practising varying degrees and types of fleshless diet. But, inevitably, the vegetarian societies began in Australia and New Zealand, where the vegetarians were a tiny minority, copying the European model. The idea of secular organisations is relatively recent in East and SE Asia. CHRISTCHURCH, N.Z. - Before leaving Christchurch I had the satisfaction of founding in that colony an association entitled the Canterbury Dietetic Reform Association, established 16th January, 1882, and of which my son is secretary. The number of members is small as yet; but this young offshoot may, I hope, become the stalwart oak, and so rescue multitudes from an untimely grave, for there is much sickness. I think I am within the mark when I say that more than two-thirds of the people are suffering in some degree from ill-health, while the rate of mortality among the children is very heavy. - H.S. [Dietetic Reform was an alternative name for a vegetarian society and was common in England at that time, this one in NZ does not appear to have lasted long as there were no further reports from it]. 1886 - Australian Vegetarian Society(article by Edgar Crook with links to more articles)- this one lasted until about 1900 with some local groups in various parts of Australia at the same time.
? The Burma Humanitarian League was in existence before WWII, precise dates not known. 1948 - Australian Vegetarian Society re-founded "It appears to have stemmed from a lecture given in Sydney in April 1948 under the title of 'The Humane Aspect of Vegetarianism', under the auspices of the local branch of the World League for the Protection of Animals. The speaker at that meeting was a bishop of the Liberal Catholic Church, Sten van Krusenstierna. 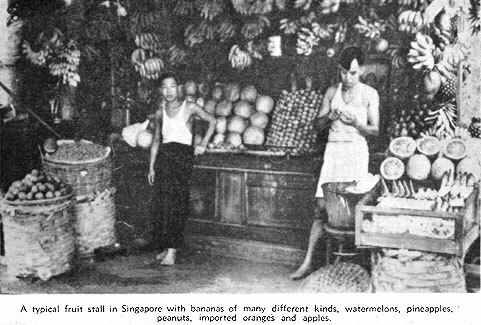 Sten was the former Vice-President of the Malayan Vegetarian Society in Singapore." 1953 - Geoffrey Hodson, New Zealand, elected as an Honorary Vice-President of IVU. This was a non-executive advisory role, representing his country. He remained in the role in his death in the early 1980s. - U San Hla from Burma, General Secretary of the Burma Humanitarian League who contributed an article on Did Lord Buddha Countenance Meat-Eating? which appeared in the Souvenir Book of the 1957 Congress. - and the Venerable Dr. Mazakazu Vira Dharmawara Buddhist advisor to the King of Cambodia. He is on the left in the photo, at the 1957 Congress, with Rukmini Devi Arundale from India. We know nothing more of these two except that they remained in those positions until the mid-1960s. Vegetarians in Japan - an article by a visitor from Austria, with a reference to 'Masakazu Tada is the founder and leader of a small vegetarian school of life'. - Australian V.S., Mr. W. H. Reynolds, Box 821 G, G.P.O., Adelaide, South Australia. - Australian V.S. (Sydney), Mrs. K. Morrison, Suite 21, Paling's Buildings, 2 Ash St., 2nd Floor, Sydney, N.S.W. Branches at - Adelaide: 16, Pirie St. Brisbane: 364, Queen St. Melbourne: c/o, Caris Club, 343 Little Collins St. Perth: Overseas Club, Orient Buildings, William St.
- Malayan V.S., Mr. Charles Lee, P.O. Box 454, Auckland, C1, N.Z. 1960 - Dr. Masakazu Tada, from Japan was elected an Honorary Vice-President of IVU and remained in that role for at least 25 years, until the mid-1980s. [from minutes of the IVU General Meeting in Germany] representatives from Australia,. . . Japan, . . .
1963 - [from minutes of the IVU Business Meeting in Spain] representative . . . Malaya, . . . Greetings were announced from Societies in . . . .Australia . . .
1965 [from the minutes of the General Meeting of the IVU Congress in England] The Congress greatly appreciated the interesting reports of activities in various Member countries. From: . . .Mr Roger Boswarva (Australia), . . .
1973 - [from reports of the IVU Congress in Sweden] Dr. Masakazu Tada, heading the Japanese delegation, said that Japan was vegetarian for a 1,000 years, but westernisation and industrialisation over the last 50 years has meant a 28 per cent increase in meat-eating, but there was evidence now of a reversion to their former way of life. At a display of national dance and set-dancing, Mrs. Sachiko Tada, wearing the traditional obi sash, performed the delicate ritualistic Cherry blossom dance. The photo right is Dr. Tada at the Congress, using headphones for the translations. The list of participants at the Congress shows: Mrs Nadine Mellen as the sole Australian; and a group of 20 from Japan. 1975 - Bruce W. Standish (Melbourne, Australia) appointed as IVU Regional Secretary for Australasia, becoming the first person East of India to join the IVU Council. He was a former Editor (1970-72) of Health and Vision. "This long running journal (1948-72) concentrated on promoting vegetarianism, animal rights, religion, psychology and health (especially alternative therapies)." - Edgar Crook. 1977 [from the General Sectretary's Report] The venue for the 25th World Vegetarian Congress in 1979 has been put forward as . . . Japan by Dr. Tada . . . Following the death of Jay Mankar just before the Congress he had organised in India, Surendra Mehta and Dr. M. M. Bhamgara (both from India) were appointed as joint Regional Secretaries for India and the East. - and Mr.G.Karolyi and Dr. Tada made a personal donations. 1979 - [from the IVU Congress in England] Dr.M.Tada (President of the Japanese Vegetarian Union) gave a talk. George Karolyi (South Australia) appointed IVU Regional Secretary for Australasia. He was recorded as being a Professional Engineer. 1982 - [from the minutes of the General Meeting] Australasia: Mr.George Karolyi reported growing interest in vegetarianism and increasing co-operation with experienced welfare groups. He pointed out the problems experienced due to the large distances between population centres in Australia. Asia: The main centres of activity are. . . . Japan and Singapore. 1984 - [from Minutes of the International Council] - Present: . . . Mr. Tada (observer). The meeting noted with deep regret the passing of . . . Mr Geoffrey Hodson founder of the New Zealand Vegetarian Society. Hon.Fellow of I.V.U. [from the minutes of the General Meeting] Australasia: The Hon.General Secretary read the report for Mr Karolyi in his absence. He reported that there are now five active vegetarian and vegan societies in Australasia. The growth of the animal rights movement was leading to co-operation between the societies and the animal rights movement. An Australian Vegetarian Congress is planned for 1985. Asia: In Indonesia a vegetarian society was being developed. Interest in Singapore was very encouraging. The Japanese Society continued to flourish. 1986 - 2nd Australasian Regional Congress, Adelaide, Australia [from the General Meeting minutes] Australasia: Mr Fred Whittle gave a report in the absence of Mr George Karolyi. He reported on the growth in activity and the holding of a regional congress and brought greetings from his region. Jashu Shah (India) was appointed as Region Secretary for India and the East. 1987 - a 3rd Australasian Regional Congress was planned for Melbourne, but it is not known whether it took place. 1988 - photo below from Robert Fraser of the Vegetarian Society of Western Australia: "Gina and I pretending to work on our magazine 'Western Vegetarian' in 1988. Photo taken by/for local community newspaper. Taken in pre-computer days, showing our latest proud possession, a second-hand IBM electric typewriter (real cutting-edge technology!)" - right: a meeting of Vegetarian Union of Australasia in a restaurant, Adelaide, South Australia - 6 July 1993. Mark Berriman is standing at back right, Robert and Gina Fraser are front left and Mrs Emma (Mick) Fearnside is front centre. 1994 - [from the General Meeting minutes] Australasia - Mr Mark Berriman reported a very active year with increasing co-operation between societies. The magazine "New Vegetarian" was enjoying success and was supported by most of the Australian vegetarian societies. The sales were increasing and 5,500 were currently being sold. They were producing a number of leaflets and promoting the use of the VSUK sprouting seed emblem on products marketed in Australia. They had held a national meeting of vegetarian society representatives and there had been keenness to work together and looked forward to a successful congress. below: Maxwell Lee, on the left, and Robert Fraser, centre, and others at a Vegetarian Society of Western Australia seminar in 1994. 1996 - the 32nd IVU World Vegetarian Congress was planned for Sydney, Australia, but was cancelled in 1995 and moved to the USA. [from the IVU Newsletter] Fred Whittle - We regret to announce the death of Fred Whittle, founder of the Vegan Society of Australia and former Hon. Secretary of the Australian Vegetarian Society, at the age of 93 years on 20th September, 1995 in Melbourne, Australia. A long standing supporter of IVU, he was for some time an Hon.Vice President of IVU.